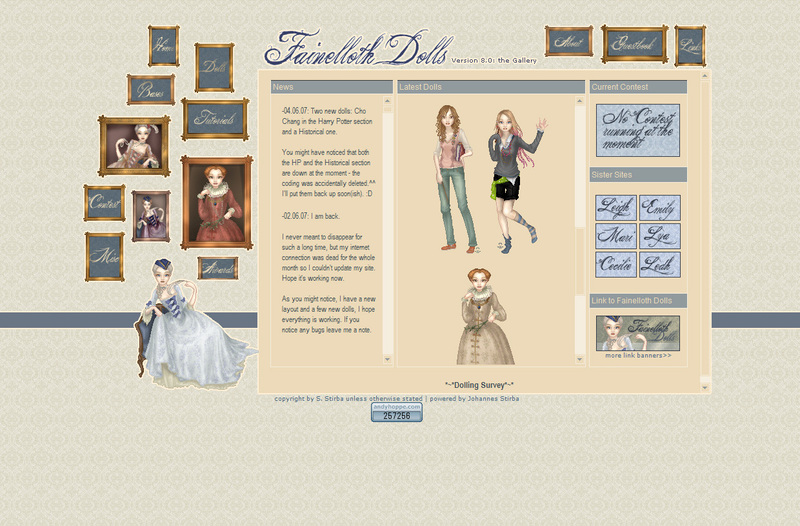 Fainelloth Dolls has been up since April, 9th 2004. Fainelloth is Elvish and means "Lily" or "white flower" and that's the meaning of my name. 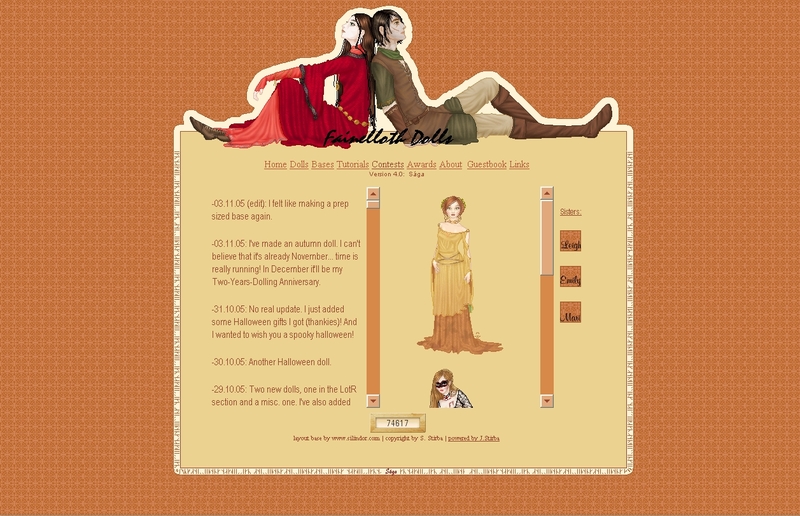 I came to dolling trough my real-life sister Éamane (or Betty, she's dolling, too, though she hasn't got her own site yet) and I'm now dolling since 22nd of December, 2003. At first Fainelloth Dolls was mine and my sister's site, but she was too busy after a while and now it's only mine. The programmes I use for dolling are MS Paint and Adobe Photoshop CS and I'm doing my layouts in Microsoft FrontPage. In November 2005 my old host broke down and I was temporarily hosted by Cecilie, until my dad bought me my own domain for christmas 2005. 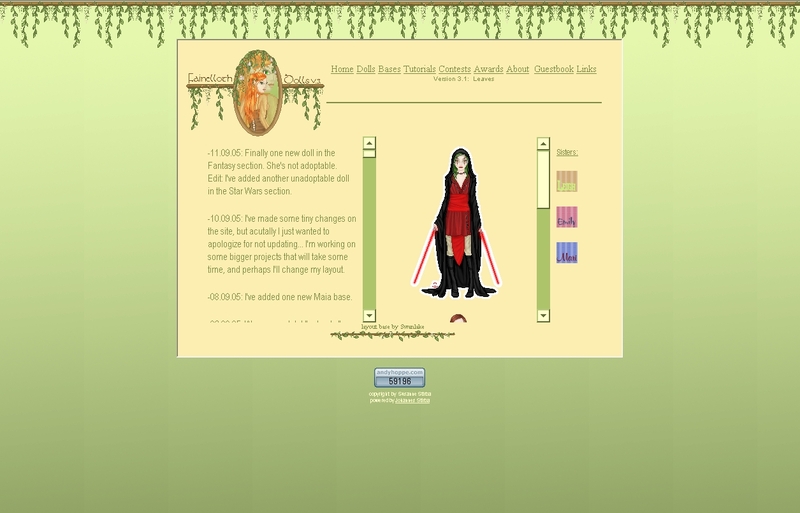 This had been my very first layout, and I didn't know anything about HTML or CSS XD It looked okay on 800x600, but cruel on a higher resolution. I used a - very - different code than on my previous layout, and it was much easier to use. Else it's nothing special, but I like it anyways. I loved the idea of making a wintery layout for once - the graphic almost killed me, but I really love the result! 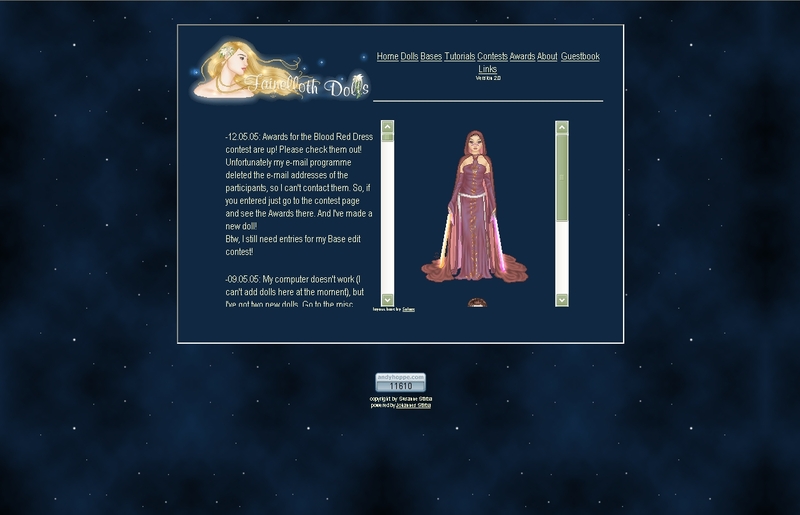 The last layout had been up way too long, and I I quite loved the idea with the picture gallery as navigation.